I had planned to tell you all about our dining room makeover in the next couple of weeks, but things don’t always go as planned do they? You know the things you worry about about but know it is most likely not going to happen to you? A break in….car accident…fire, those types of things. Well no matter how much you worry about those types of disasters, how much you prepare for them, or work to prevent them, they still happen. Three weeks ago we were having the time of our lives in Disney World, two weeks ago we were running out of our house in the middle of the night from a fire, and this week, we are dealing with insurance, the clean up, and shiesty contractors. Our electrical panel faulted and caught on fire during the night. The noise was pretty remarkable, and thank God it was, because our smoke detectors never went off. We got extremely lucky that we woke up and got out of the house before the smoke reached our bedrooms. We are also very fortunate that besides smoke damage, only our electrical system was damaged. So instead of decorating for the holidays and getting into the Christmas spirit, we are trying to get our house back in order. We hired one restoration company that was completely unprofessional and unreliable, so we wasted a week of dealing with them. We have since hired a new company and are hopefully back on track to get into our house in the next week or so. I had planned to redo our dining room before the fire, but things have been put on hold, obviously. I am still going to share my plan with you and show off the wonderful light that I received from a new company I am working with, Parrot Uncle. I love checking rooms off of our neverending to do list. Unfortunately, the finished list is much smaller than the to begin or in progress list. Since moving into our new house two years ago, we have completely finished my daughter’s room, our basement bathroom, and our guest bedroom. Other rooms are as finished as they are going to be for the next couple of years having been painted, decorated, and furnished. I have touched nearly every room in the house, except for our dining room. We plopped down our furniture from our old house and pretty much called it a day. It has been fully functional and definitely looks presentable but it wasn’t done exactly how I would want it. I don’t love the green paint color, I hate how short the curtains are, and the furniture is too small in scale for the large space. Spurred by the purchase of a bigger table, I decided that the entire room needs an update. New paint, new furnishings, and most definitely, new curtains. 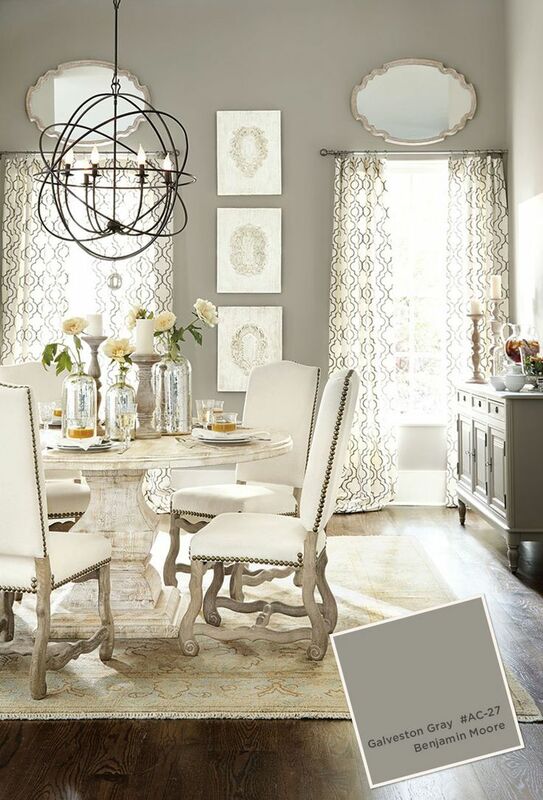 I love everything about this dining room but especially the mix of the wood table with the white sideboard,which is exactly the look I am going for. I also want to do the industrial chairs, a bench, and upholstered chairs. I was worried that would be too busy, but I think it looks great here. I love the light airy curtains here and the deep gray color. I really dislike our heavy brown curtains and think lighter ones will really change up the feel of the room. 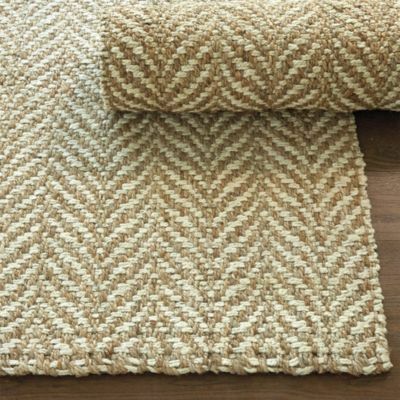 I would love a neutral jute rug like this one from Ballard Designs. I love the herringbone pattern! We have already received a new light fixture from Parrot Uncle and it looks great! Bigger than I expected but very pretty and makes a statement! Here it is on their website. I can’t wait to get it hung and get the dining room started! If you haven’t checked out Parrot Uncle.Com you need to! They have beautiful on trend lights for great prices! 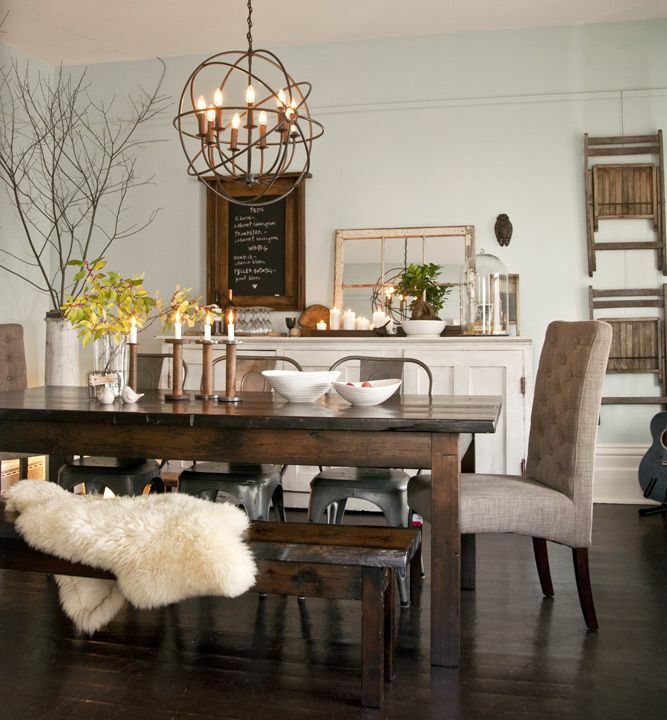 I love their selection of Wooden Pendant Lighting and Vintage Industrial Lighting! We hope to be home next week, but with the rush of the holidays, I can’t see me getting the dining room done before January. I will share how the room comes out whenever it is ready! I hope you stick with me over the next couple of weeks as posting may be light, but I do have a couple of great Christmas projects that I am collaborating on with other bloggers that I will be sharing with you!